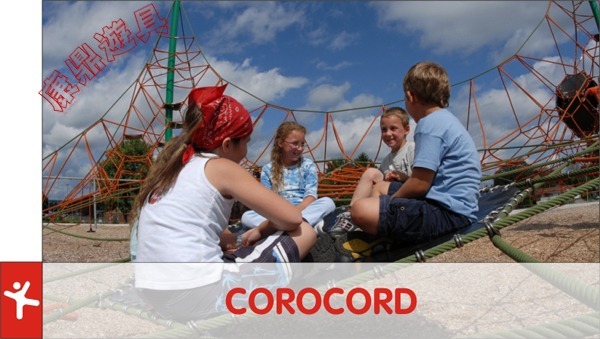 COROCORD® play equipment unites the characteristics and ­advantages of many different pieces of play and sports ­equipment. Hence, children are offered a great space in which to exercise­ ­themselves, to live out their fantasies, to train their spatial ­cognitive abilities and to learn how to handle heights without danger. Rope-work constructions are easily integrated into the ­environment: they are transparent, and thus fit into the picture of the landscape. The geometrical form of the rope play equipment is ­impressive and children grasp the ­function of each element naturally.